I visit here often and have conducted several photo workshops in this spectacular setting. Over 300 stairs lead down (and up) here. 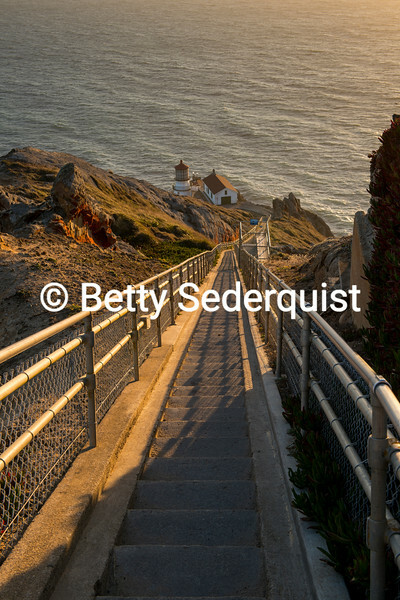 Point Reyes Lighthouse sits on a rugged cliff on the California coast.